Despite the traffic and a lot of events I was able to make it at Share Life Outdoor Series event last May 18 at Epicurious - Edsa Shangri-La, Mandaluyong City. 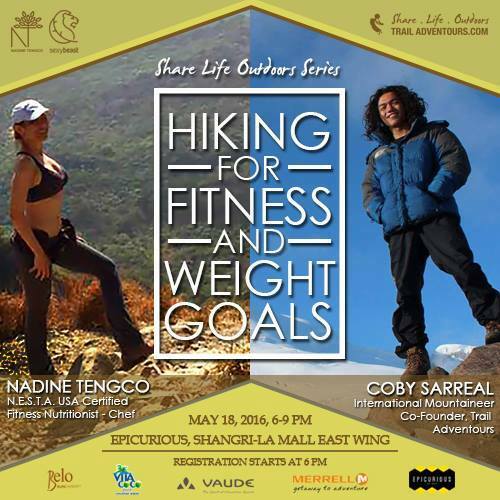 The event was facilitated by Chef Nadine Tengco and International Mountaineer, Coby Sarreal, where I've learned so many things about hiking and nurition. The talk touched topics such as correct body alignment for maximum performance, nutrient timing - what to eat before, during and after, the difference between ‘hiking to get fit’ and ‘getting fit to hike’, and show how all those can be used to design a progressive fitness plan and so much more! I hope you'll be able to attend Share Life Outdoor Series free event next time. I will update you on their next schedule. 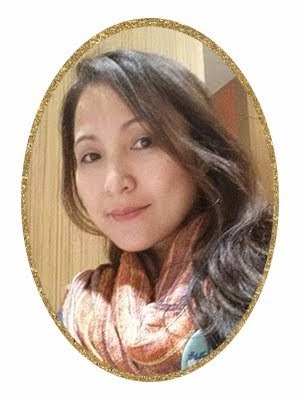 Hi Joy! I was not able to attend due to conflict in work schedule but am glad that you did. I also hope that you could try hiking or even mountain climbing in the future.